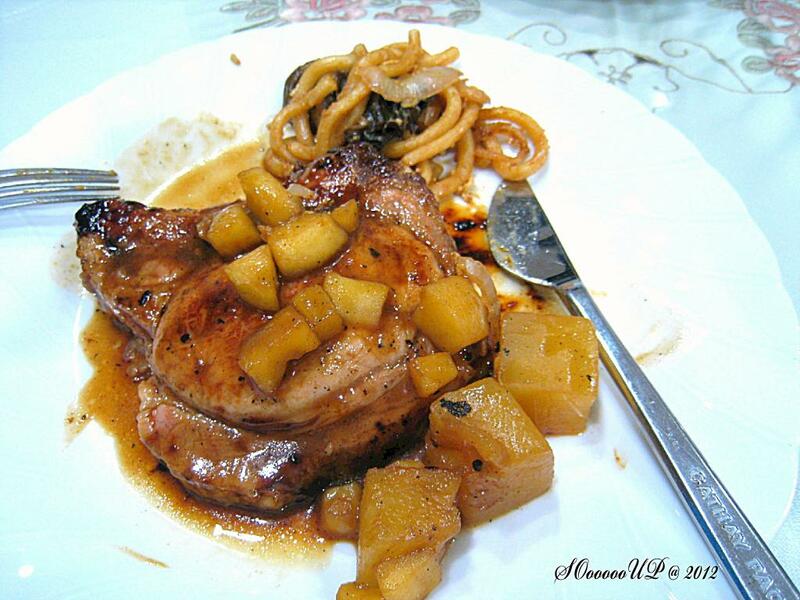 Bought nice pork chops from Cold Storage and ended up having fusion dinner (meat and fried udon). The chops were seasoned with salt and pepper & lemon juice. When ready to fry, brushed chops with Japanese dark meat sauce. HappyCall pan a fascinating pan to use. 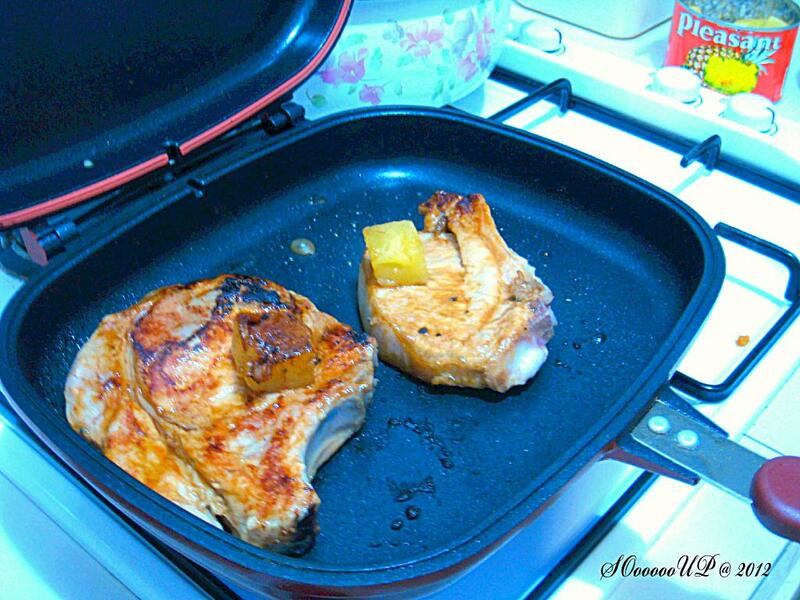 It cooks the chops quick and evenly with only a flip of the pan. 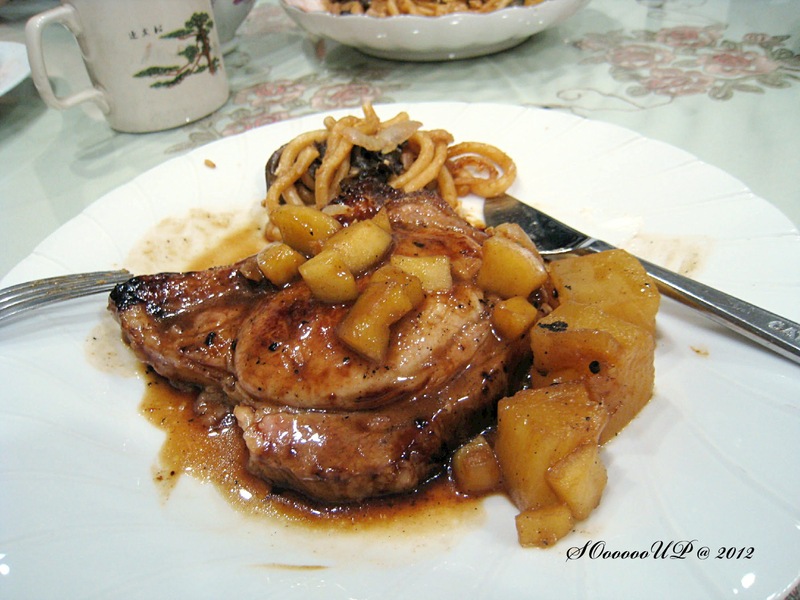 Apples and pineapples were nicely caramelized with some smokiness. 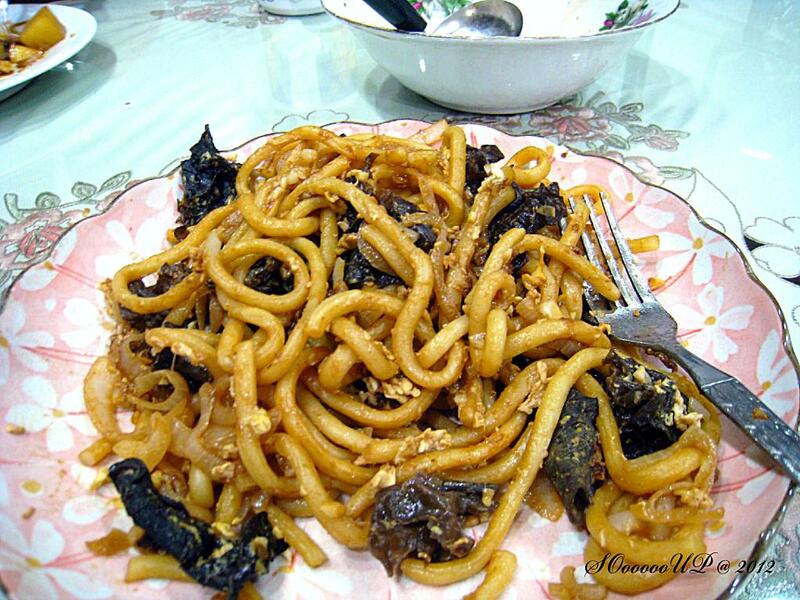 Fried udon with wood ears, onions and eggs in dark and mirin sauce.